As Terry Rozier attempts to mimic Kyrie he really is out of control Scary. He played much more in control last season. He is playing Rucker Park street ball . Terry is playing like the player he was last year and the years before it. His playoffs were really good, and I was hoping that he'd build off of that. But instead it seems clear that they were just a hot streak combined with increased minutes while we all watched him a lot more closely than usual. Rozier needs to take the act somewhere else. From playing for a contract to playing to get noticed to playing just to survive. He plays hero ball on both sides of the court. He loses his man on D all the time, he plays street ball on offense. Let someone else hope that he can learn to play the game within his own personal skill level. I agree that he has played this way most of his career, but its not true that he just got hot at the end of last year. He really did play smarter. He took better shots(far less step back 3's), pushed the pace, and moved the ball if he couldn't get to the rim immediately. I don't understand how he gave up on those lessons. It will cost him tens of millions of dollars and limit his ability to play the minutes he wants. Rozier was more secure last year. He knew he didn't have to compete with one of the flashiest guards of all time. This year he has looked different because he was trying to be Irving. Why wouldn't he? He clearly wanted playing time. Would you (as a young man) accept that you're a lesser player and attempt a Mark Jackson style of basketball when Kyrie is making highlight after highlight? Terry is a competitor. I don't see much more to it than that. Jaylen Brown, a younger man, figured out how to thrive in a second-unit role this year. Before that, Marcus Smart adjusted to coming off the bench and played well. Rozier really doesn’t seem to know what his game is, what his limits are, and how he can get paid. He has cost himself a lot of money and goodwill. Learning his craft - playing within himself - would have served him well in his career. TP and i agree with td 450 the lessons learned have evaporated.Kyrie has defined dribbling skills, seeing angles and moves to counter moves ,spins and the backboard .Kyrie puts his shots up soft -the rim loves him. I think if Rozier tightens up his dribbling ,crossovers and reveses becomes a guard again and i saw it yesterday looked off Gorden again for Morris..
Rozier has exceptional rebounding ability his quick leap and long arms . Sorry Terry but there is only one Kyrie and there was only one Isaiah they were born that way.Just like Marcus is wired for defense -only one Marcus. In the pre-game, Rozier told Abby Chin that he wasn't as happy this year. She then tried to get more information from him about that and he said "So you're starting in on me already?" but quickly welcomed her back without answering her question. IMO, he shouldn't have brought the topic up if he wasn't ready to address it. Too bad. I like Rozier and Morris, but I can't visualize them on this team next year. Rozier and Morris are anti team. 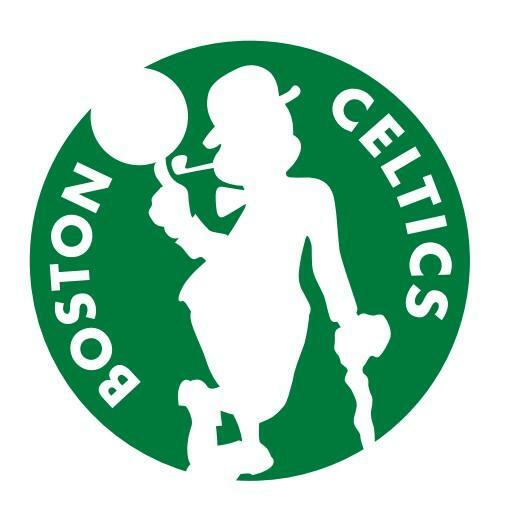 They play only for the name on the back of the jersey and not on the front and that has no place on a boston celtics team. Rucker Park offense is right. His specialness is his speed. Can break traps just by being quick. Hasn't learned the nuances of the game necessary to run a team in the half court. Doesn't seem to think that's important. A lost season. Won't be signed to the starting spot he thinks he deserves. The money is something else; he definitely won't get the role he thinks he should have. We are fortunate that Hayward seems to have found his game right before the playoffs. Brad can limit the minutes of Rozier and Morris when they are struggling. I'd like to see Rozier elevate his game but I'm definitely not counting on it. I would love to see the rotation listed below. Obviously minutes would increase for Kyrie and Horford in games that are extremely close. This. Rozier has always been this player. He’s got talent, sure. But he plays with blinkers on and is the anthithesesis of a PG.